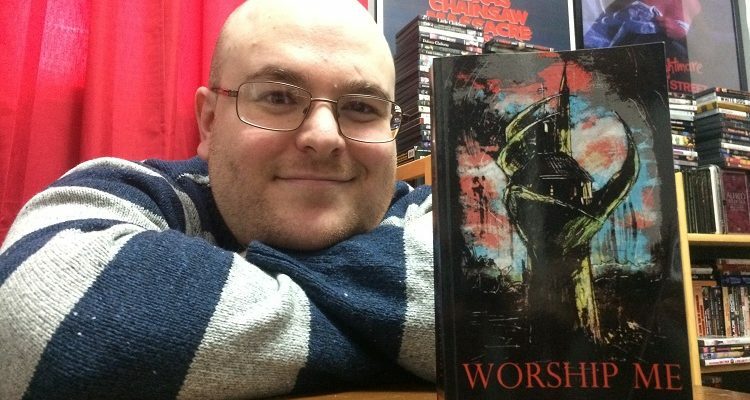 Inspired by the twisted minds of author Clive Barker and director George A. Romero, a Chatham native has penned a literary descent into hell that has become his first published novel. Craig Stewart’s book entitled Worship Me was published by Hellbound Books this past summer. The horror novel tells the story of a small country church held hostage by an ancient entity that believes itself to be their god. “It’s a claustrophobic nightmare about what these characters will do to stay alive once they’re all trapped together — kind of a Night of the Living Dead sort of scenario,” Stewart said. The 30-year-old author grew up in Chatham-Kent and said there is a great deal of local imagery that found its way into his story. Stewart has written and directed several short horror films that have been screened across North America. He said he initially wrote the novel as a screenplay, but due to the scale of the story, he decided to commit it to paper instead of celluloid. Stewart said writing his book was also a way to channel the anger he felt following the passing of his older sister after she was diagnosed with a brain tumour. Stewart said a lot of the drama between his characters came from growing up in a small town where everyone knows each other. He added that local video rental stores, such as the now-shuttered Backdraft Video and Video Movie Shop, were a gateway to his love of the horror genre. With no plans of stopping with just one novel, Stewart said he is hard at work on multiple short films, as well as a sequel to Worship Me. For more information about Craig Stewart’s films and published works, visit his website by clicking HERE.